Admit it. Like a runner on the starting blocks, you are waiting for grilling season to start! While some folks grill year-round, the majority of us hate standing out in the cold, waiting for steaks to finish. If you are considering kicking your outdoor kitchen up a notch or just buying a new cooker, now is the time to start planning. If you want to build an outdoor kitchen or redesign your deck area for better dining, work up your plans now. Decide what you want to do, how much professional help you might need, and your total budget. Once you decide, keep an eye out for pre-Spring sales. What type of grill or cooker to buy? What fuel source (gas, charcoal, electric) do you want? Do you need add-ons like burners (warming or cooking) or deep fryers? What material do you want? Ceramic, steel, cast iron? Does it need to be stationary or portable? Direct Heat – This is the typical charcoal or gas grill. The heat/flame is directed at the food, cooking it. It is prone to flare ups from grease dripping on flames. Indirect Heat – Same concept as the direct heat grill but a ceramic device is placed between the heat source and food to prevent charring. Ceramic – These insulated cookers (like Big Green Egg or Primo brands) are 400% more efficient at using charcoal, heat evenly and are safer than standard grills. They are also much more expensive compared to standard gas/charcoal grills. Flat Top Griddle – A solid metal surface like most commercial kitchens allows you to cook a variety of foods. The downside? It does not grill the food. Infrared Grills – Heats evenly with high temperatures. Cooking is not affected by wind or rain. Electric – Portable units are quick and easy to use but should not be left outside. Smokers – Primarily pellet fueled, they are good for low, slow cooking. Some do come with a wider range of cooking temperatures. Natural Lump Charcoal – Contents should be hardwood material and any binders (to make the briquettes) should be free of glues and toxic chemicals. Coconut Shell Charcoal – Chemical free, they use recycled waste shells as the main source. Burns just like traditional briquettes. Propane and Natural Gas – A cleaner, more economical option but grilling purists say the taste is not the same. Electricity – Unless you have ready access to an outdoor outlet, you will be running extension cords. Most are portable table-top grills that can be used indoors and outdoors. Flame Disk – A disk made of ethanol biofuels that lights quickly. The ash produced can be recycled. If your family loves eating outdoors, create an area where you can relax. Consider hiring an outdoor design consultant to help with your plans. They can advise on the right materials and layout to use on your DIY project. Include modern conveniences like refrigerators and ice makers to make dining outside even easier. Grilling Season is Almost Here! Warm weather is fast approaching so get ready for grilling season! Whether your specialty is steaks and burgers or smoked turkeys, there are some incredible grill options available to you. You may have a hard time choosing, but no one says you have to buy just one! 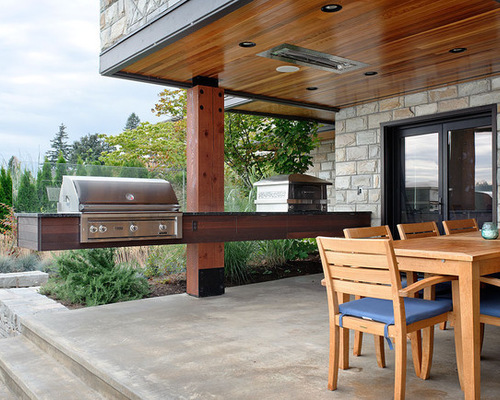 Need to re-design your outdoor dining area to accommodate a new grill? Our blog, Boost Outdoor Entertaining Potential with New Design Elements, has some great ideas on how to add pizzazz to your patio. Whether you need nail guns, ladders or pressure washers, our helpful staff can help you choose the right tools for your next home project. Don’t hesitate to contact us or stop by our store if you have questions about pricing or how to’s — we’re open seven days a week.